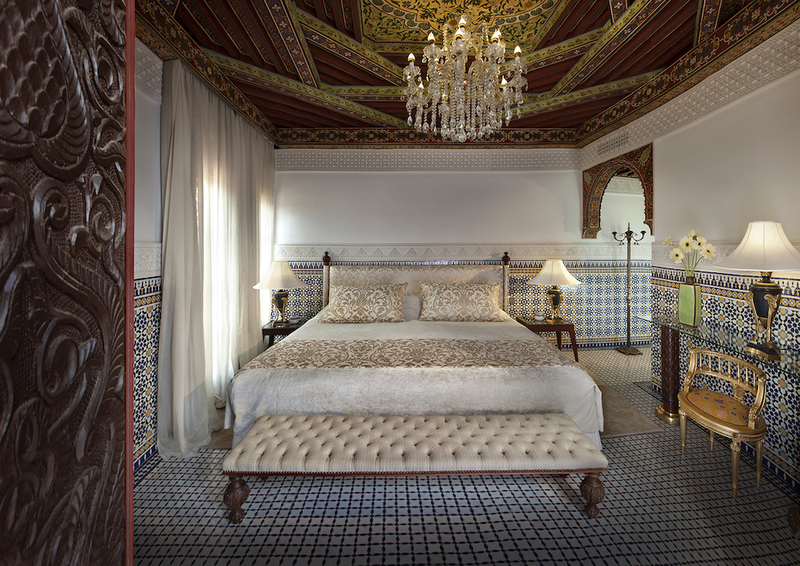 Stately homes with ornate ceilings and delicately carved stucco with original paint peering through. 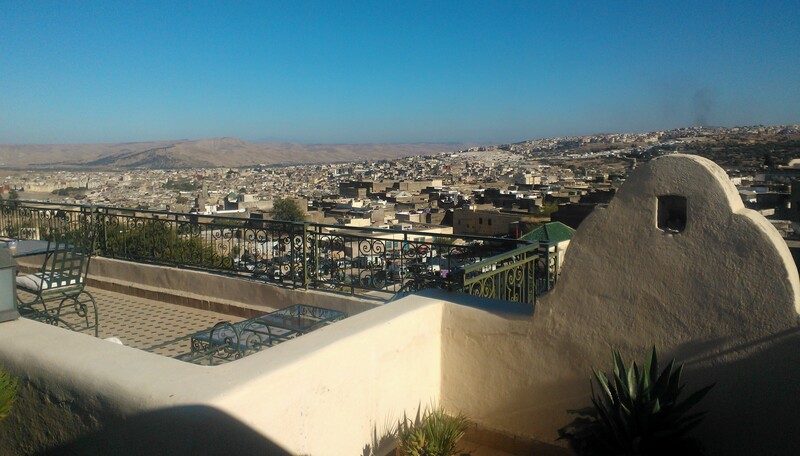 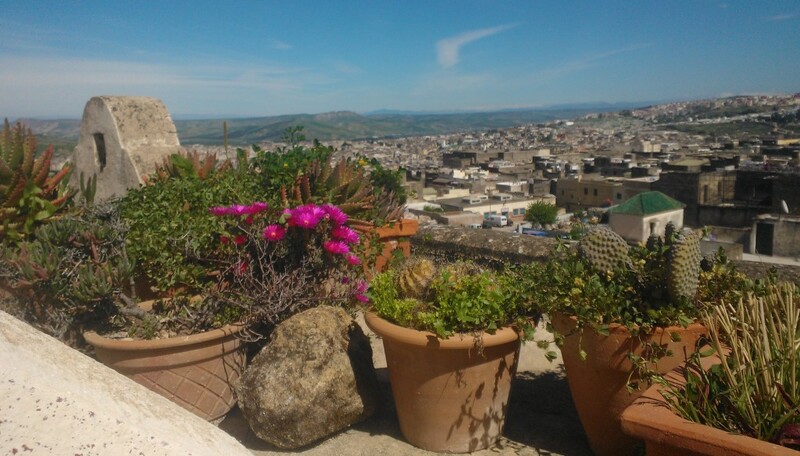 Rooftop terraces with views over the Merenid tombs and minarets dotting the old city skyline. 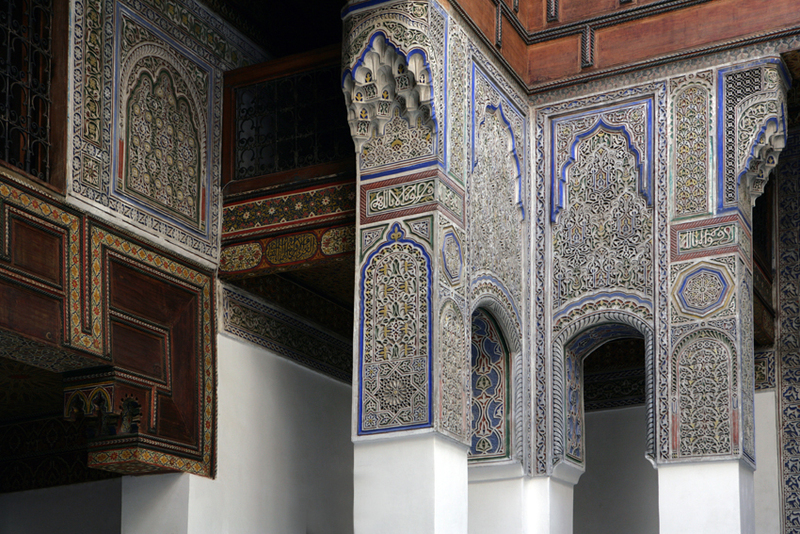 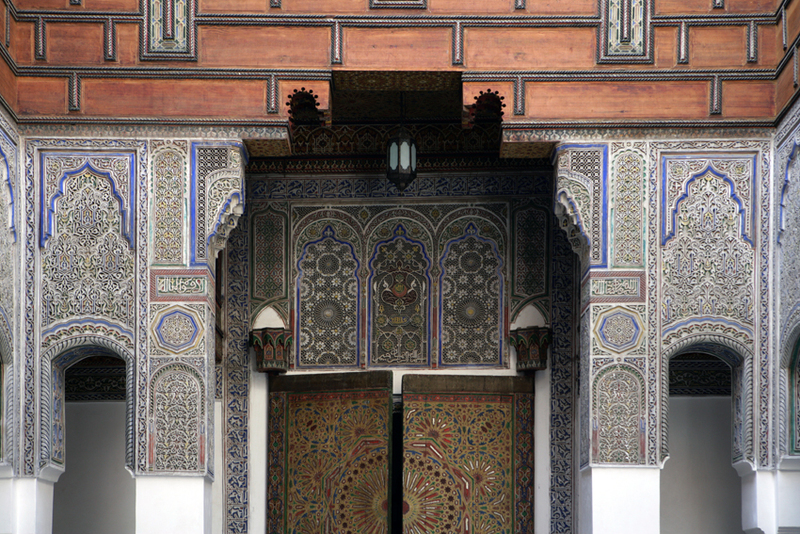 Stepping inside the riads (traditional homes) in the medieval city of Fez could be compared to walking into a palace. 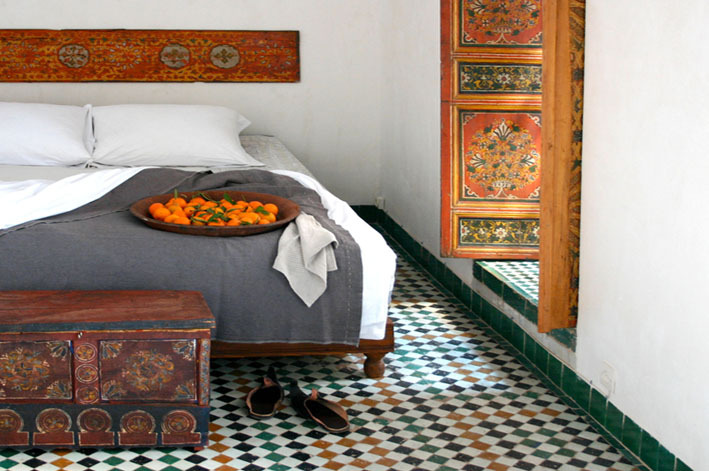 While the medina houses hundreds of riads, here are eight of the most beautiful. 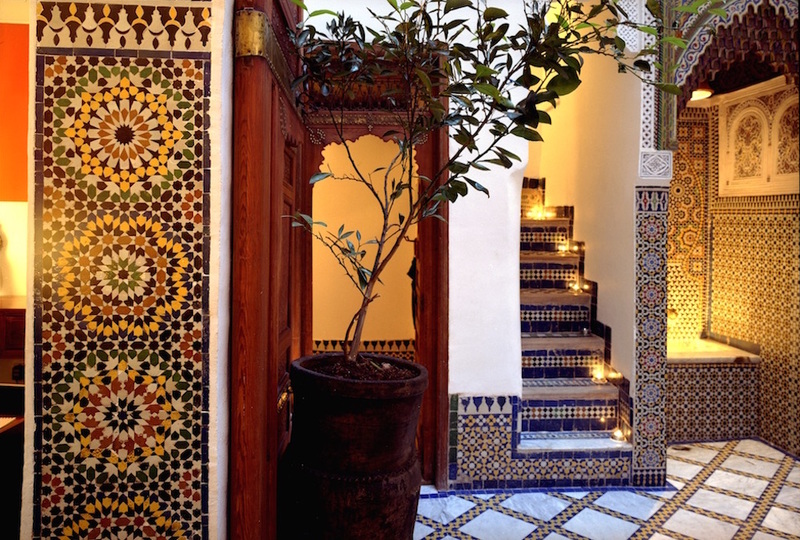 Dubbing itself as ‘luxurious suites and exclusive dining in a traditional Moroccan riad with panoramic views of the ancient medina of Fes,’ it’s easy to understand that guests may not want to step outside of Dar Roumana. 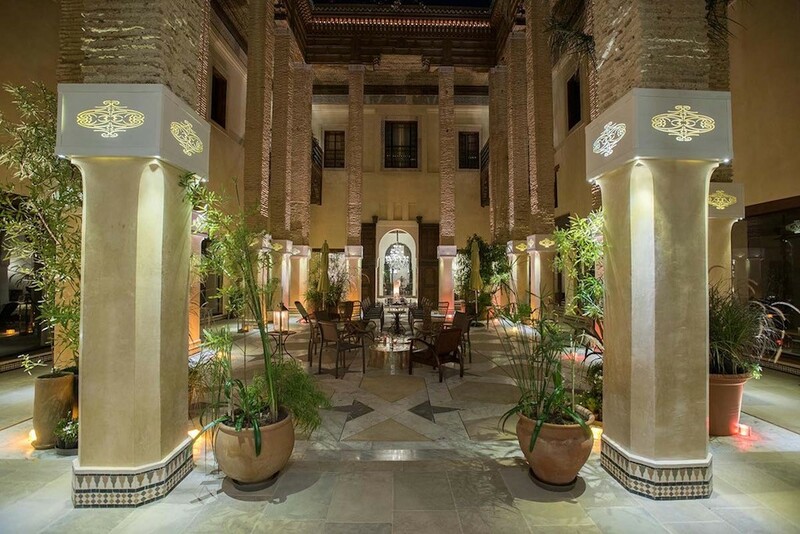 With the on-site restaurant, one of the best in the city, dining here provides travelers with a fusion of Mediterranean and local flavors. 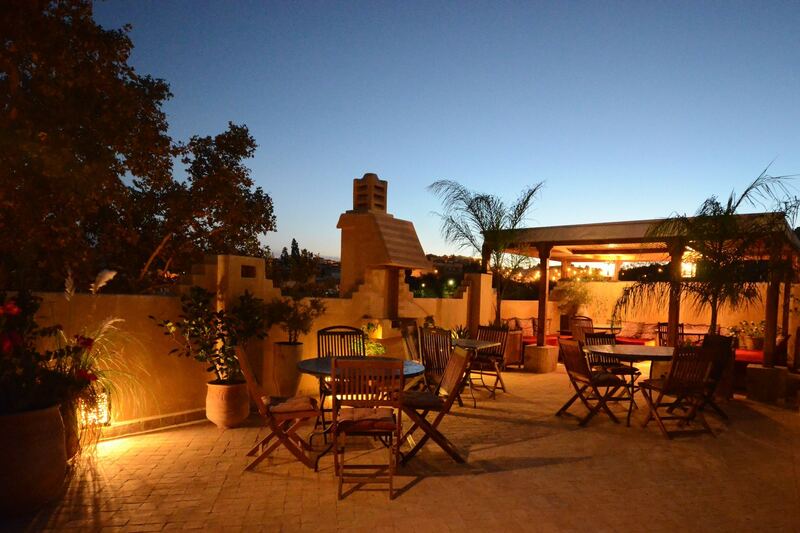 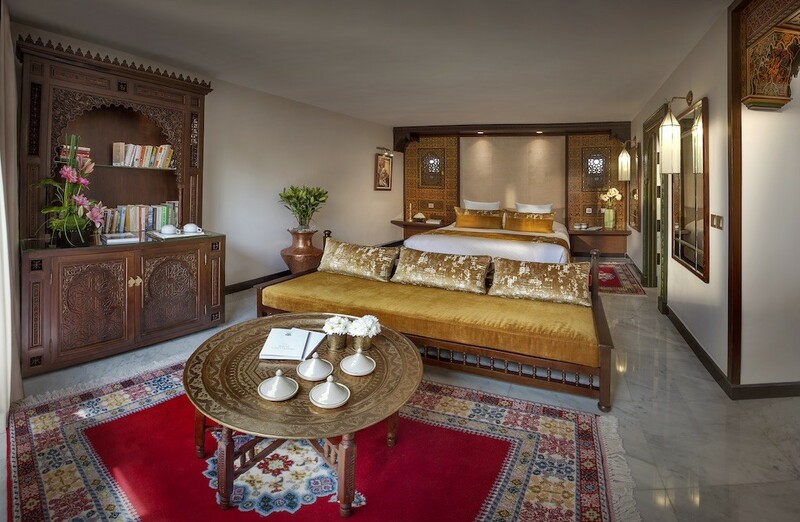 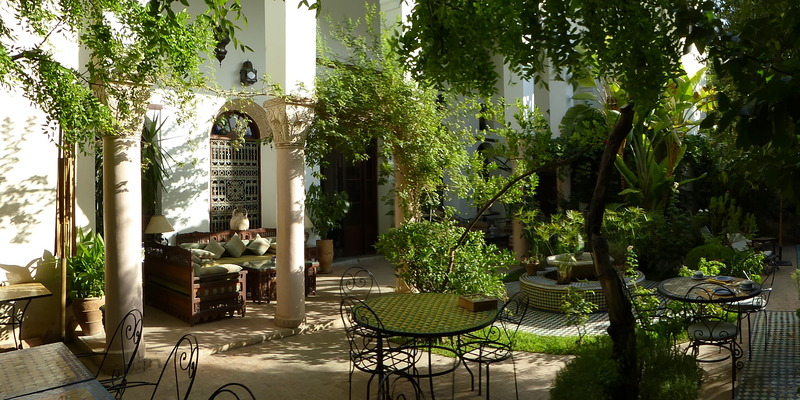 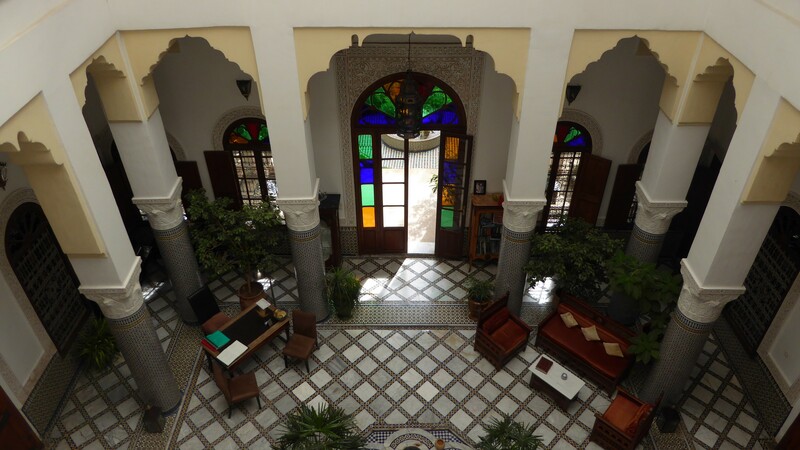 A true architectural gem, Riad Fes may be the finest riad in the region, and its accreditation with Relais & Châteaux is a testament to this fine boutique hotel’s quality. 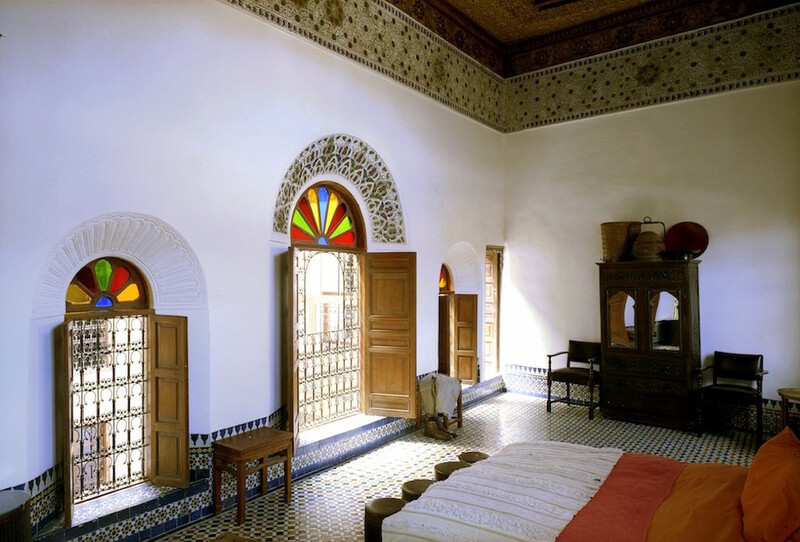 You will find soaring ceilings and beautiful Moroccan craftsmanship on display at every turn, including carved stucco, cedar work, and intricate zellig tile work. 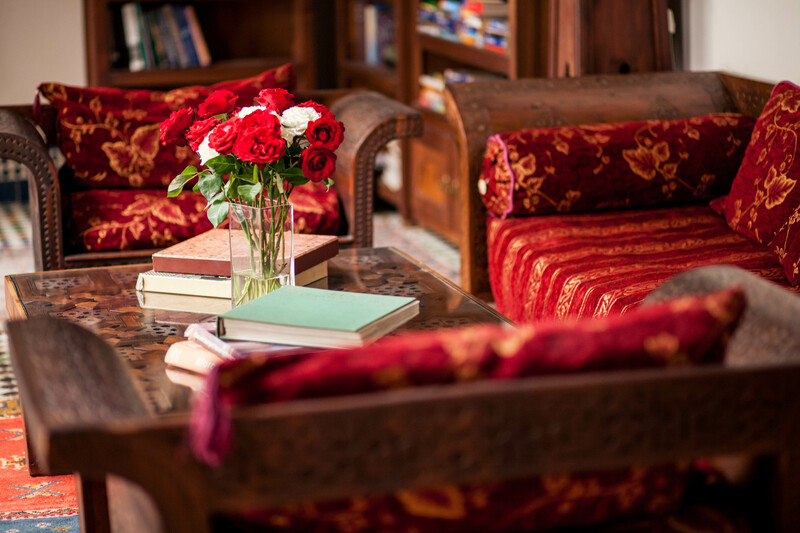 This hotel upholds the highest of standards when it comes to service and comfort, offering an overall amazing experience. 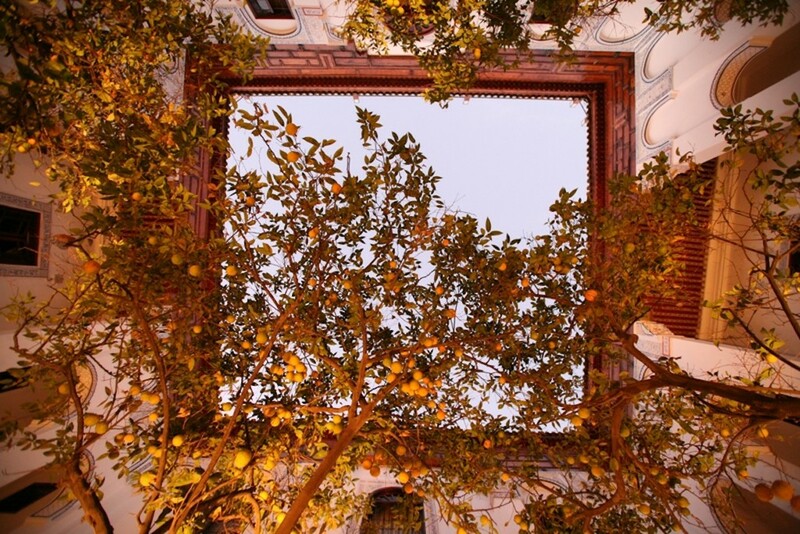 Tucked inside a 17th-century palace, the rooms and suites at Riad Laaroussa encircle the courtyards filled with orange trees, making it a true riad (in the local dialect, a riad indicates a home with an interior garden). 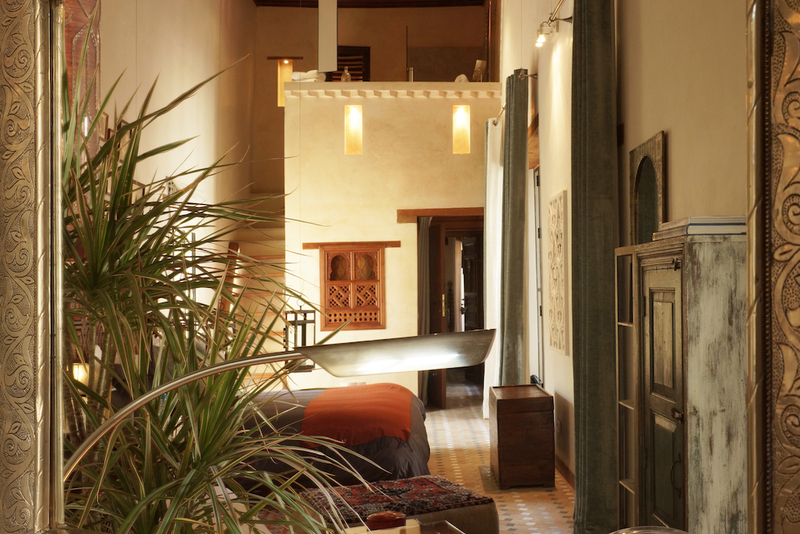 Don’t be surprised if the suites at Karawan Riad are larger than an apartment, especially for travelers from New York or London. 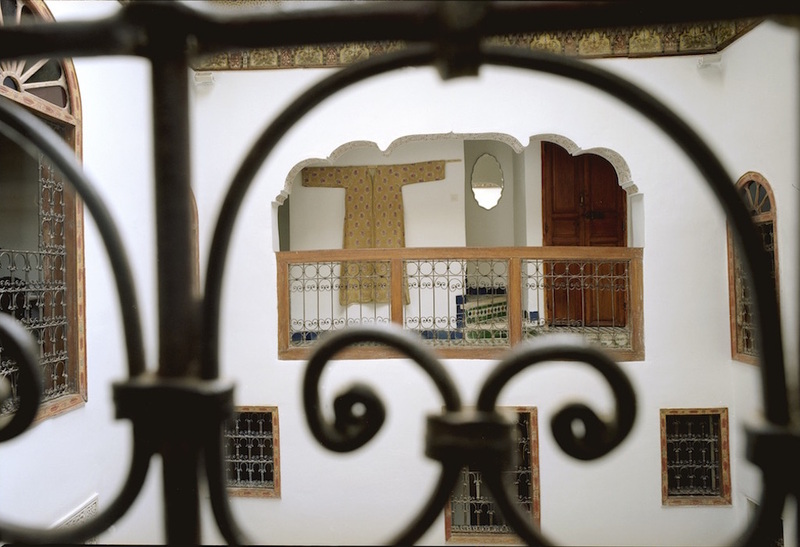 Each suite features an interior and exterior balcony, modern design, and state-of-the-art technology, proving that the owners of this riad didn’t skip a bit in the planning and decorating process. 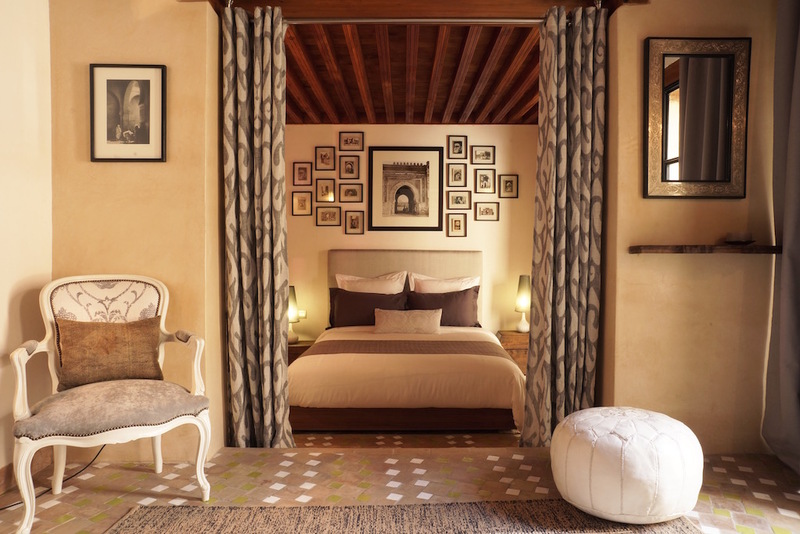 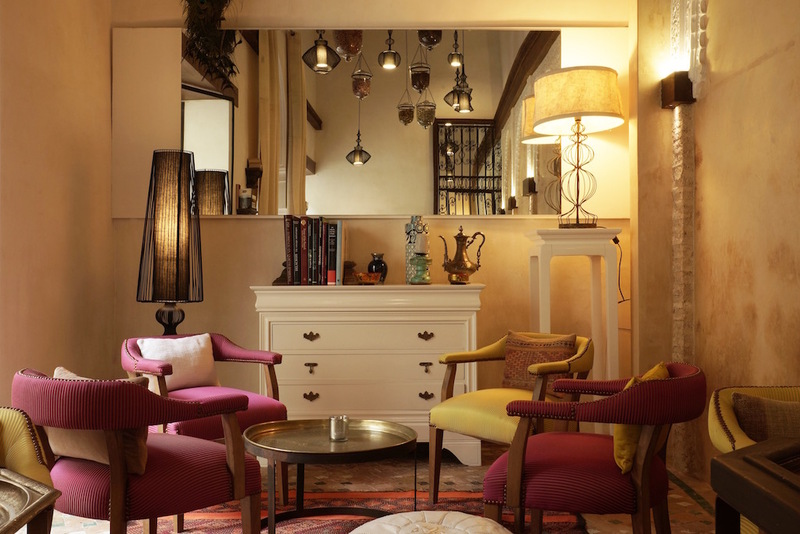 American designer Stephen DiRenza’s Riad 9 is one of the trendiest spots for a family or group of friends looking for a place on an exclusive hire basis. 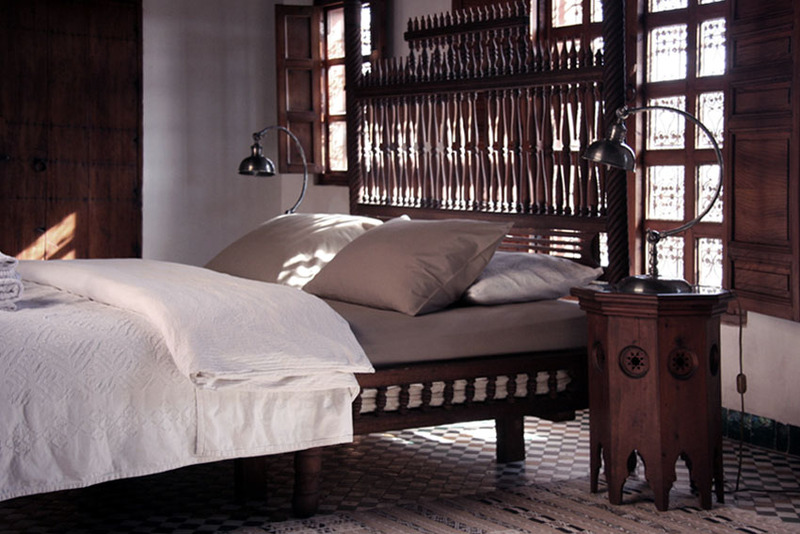 The stylish home reflects the designer’s refined tastes and sense of style. 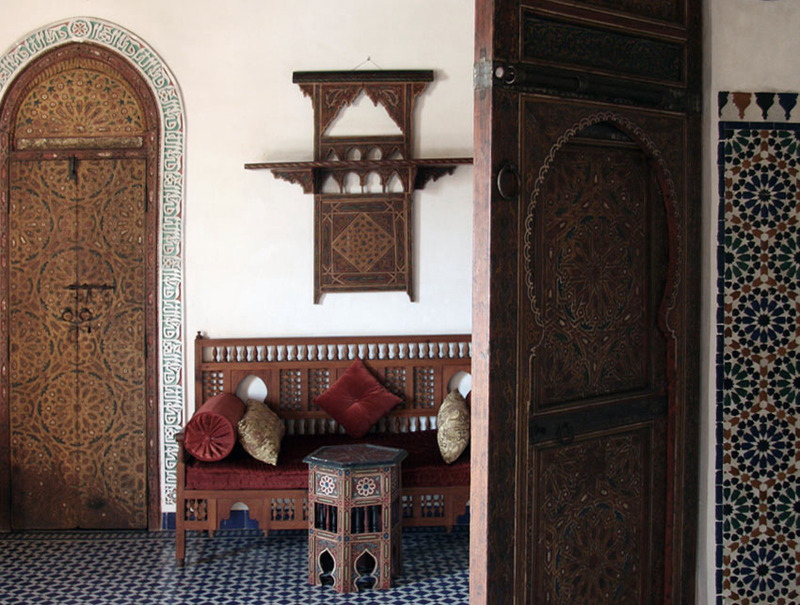 Step inside the unassuming doorway of Dar Seffarine, where the glowing courtyard and high walls await you in all of their splendor. 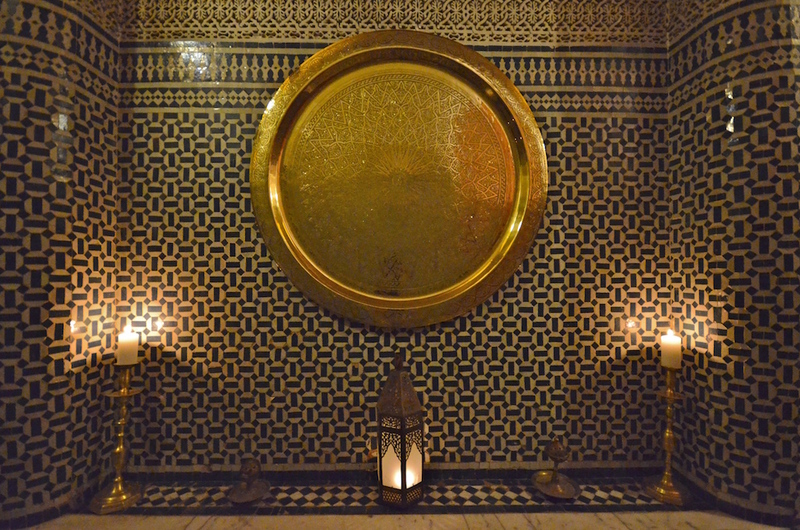 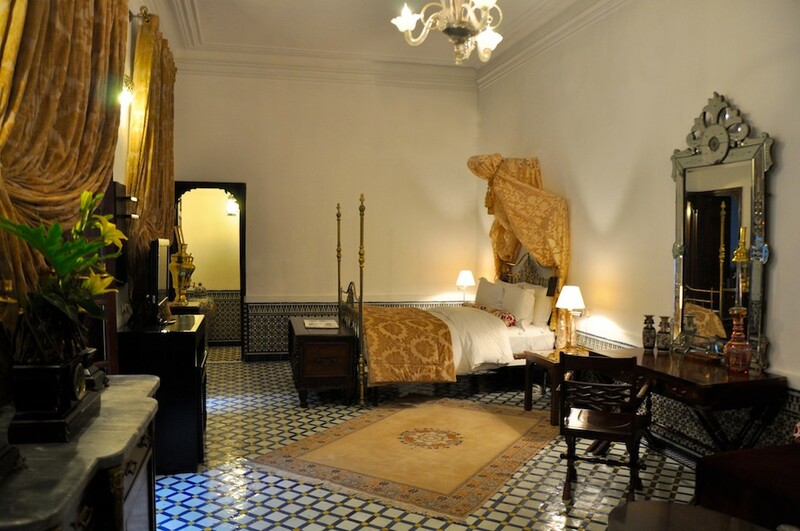 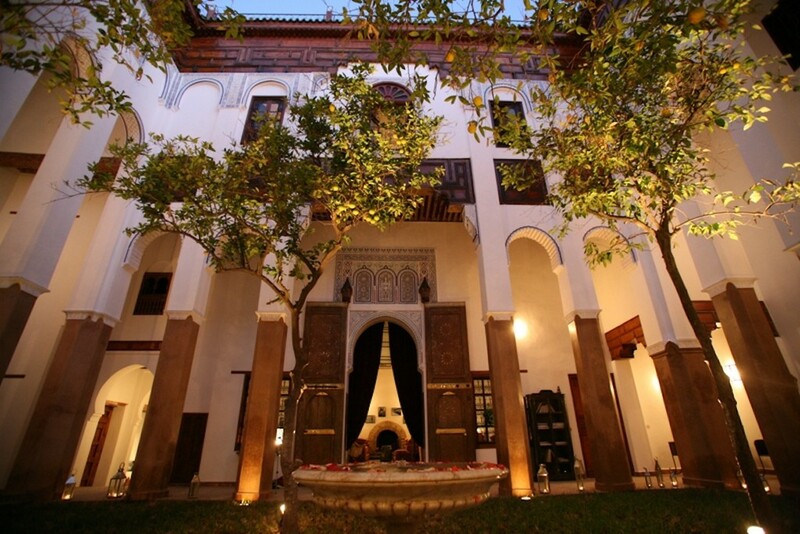 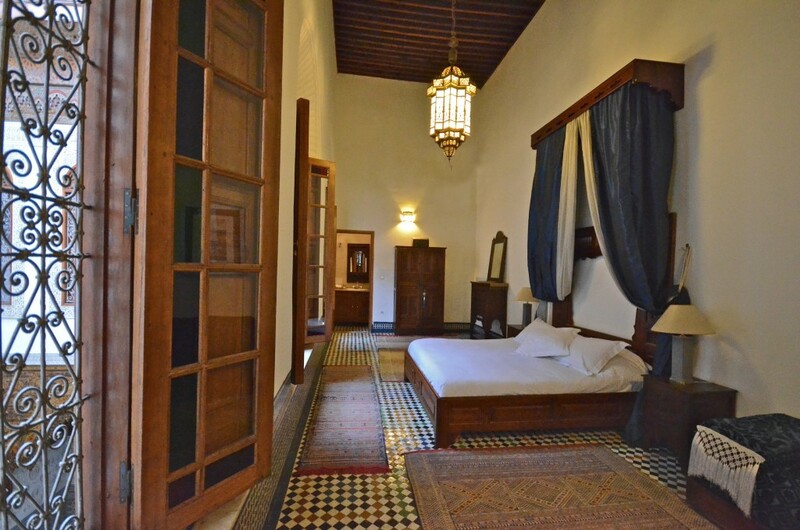 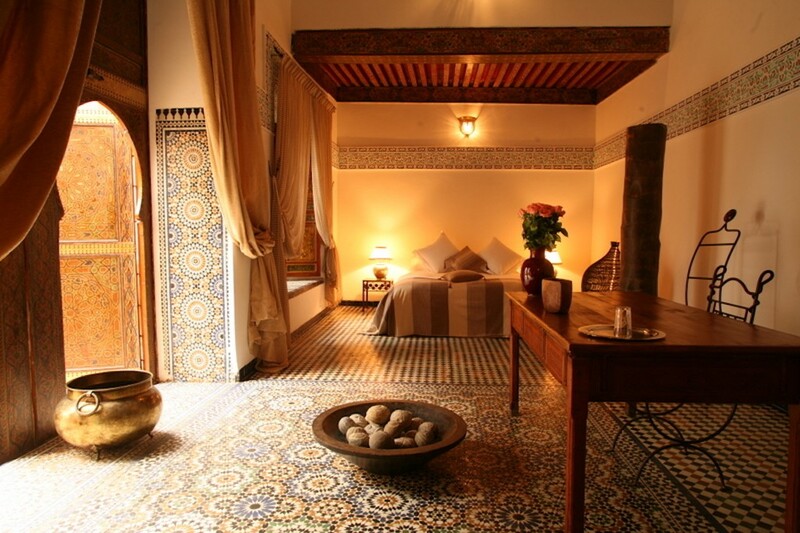 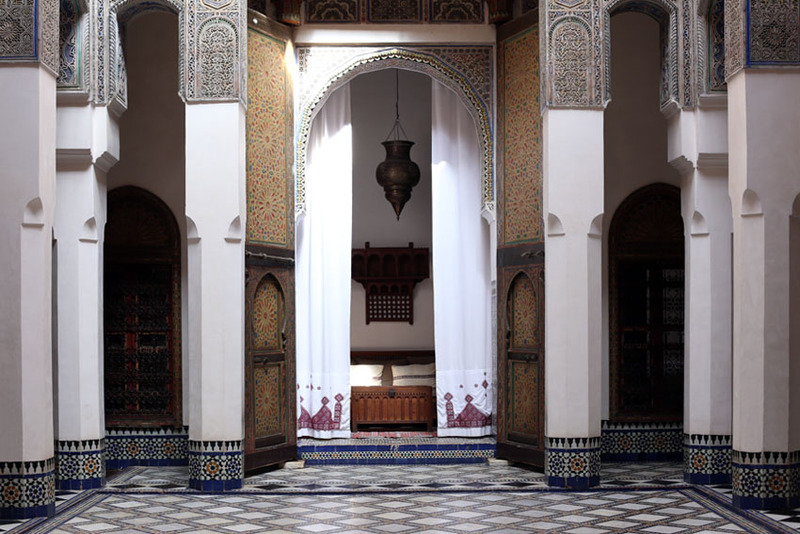 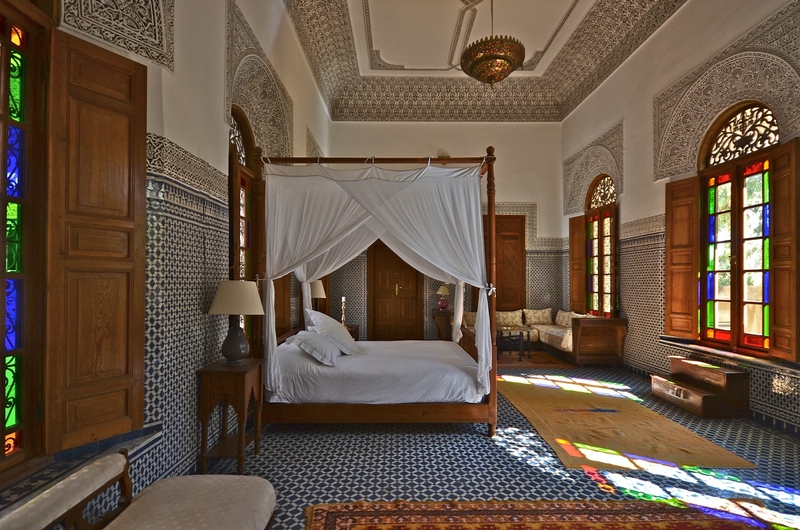 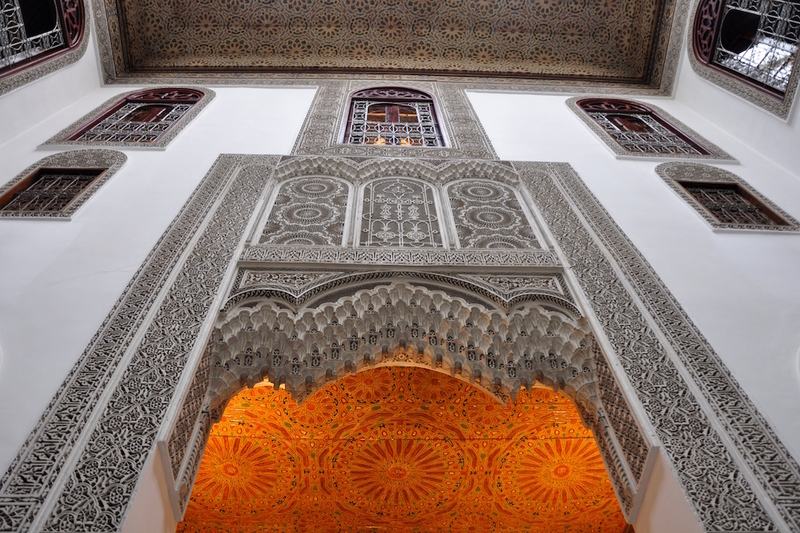 The riad is truly an architectural gem, renovated to its original beauty. 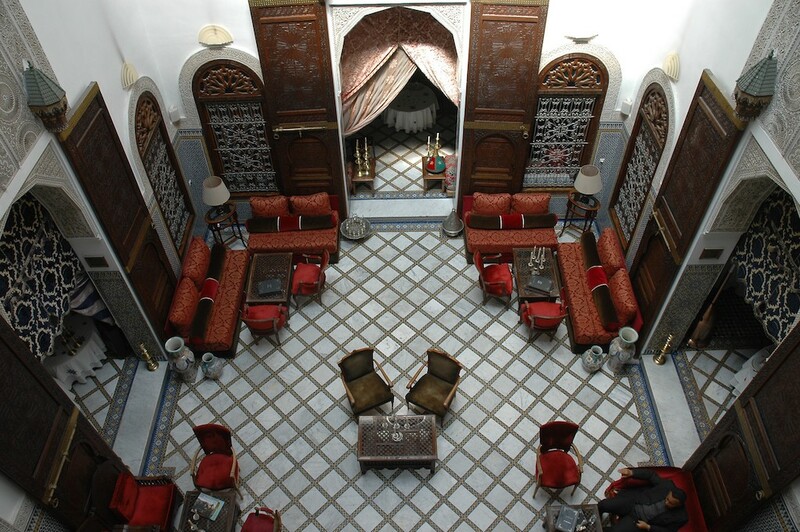 Built in 1915 by Sidi Mohammed El Abbadi, a famous judge and astrologer, in traditional Fassi design, La Maison Bleue is today owned and operated by the late judge’s grandchildren. 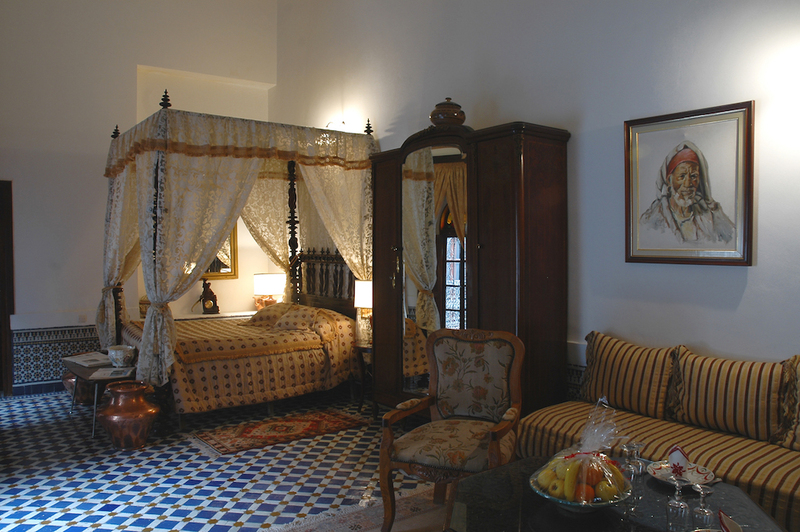 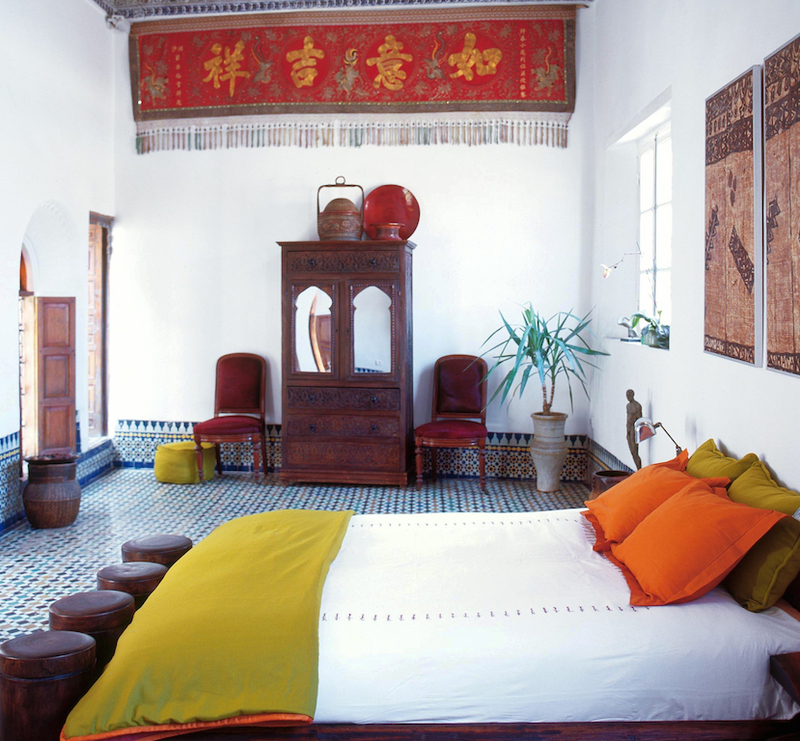 This riad provides travelers with a glimpse into the refined architecture of Fez. 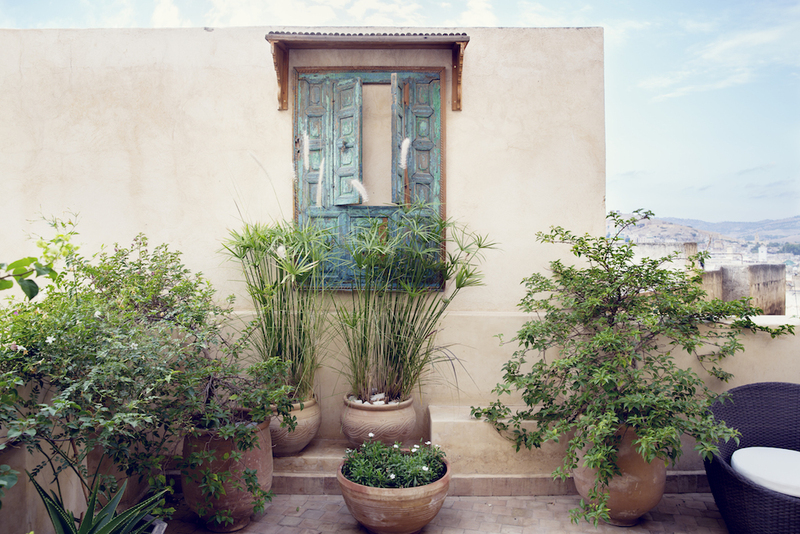 In typical Arabo-Andalusian style, the interior courtyard at Riad Mabrouka features carved stucco, cedar wooden doors, a small babbling fountain, and colorful traditional mosaics. 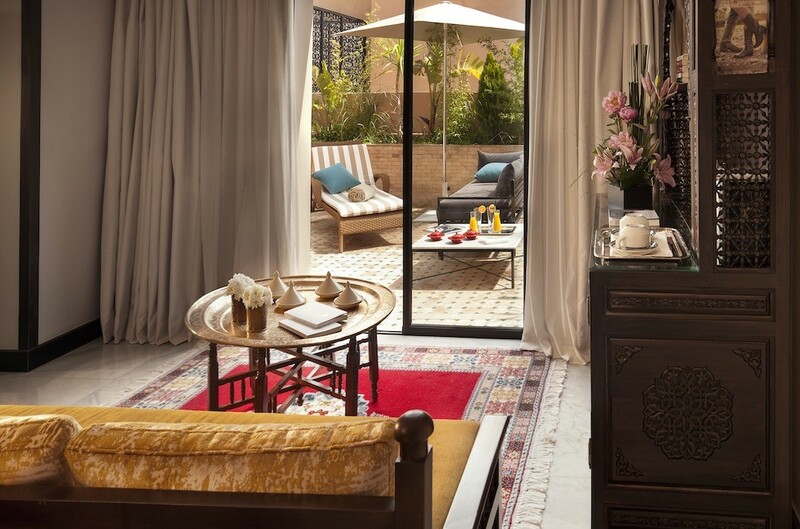 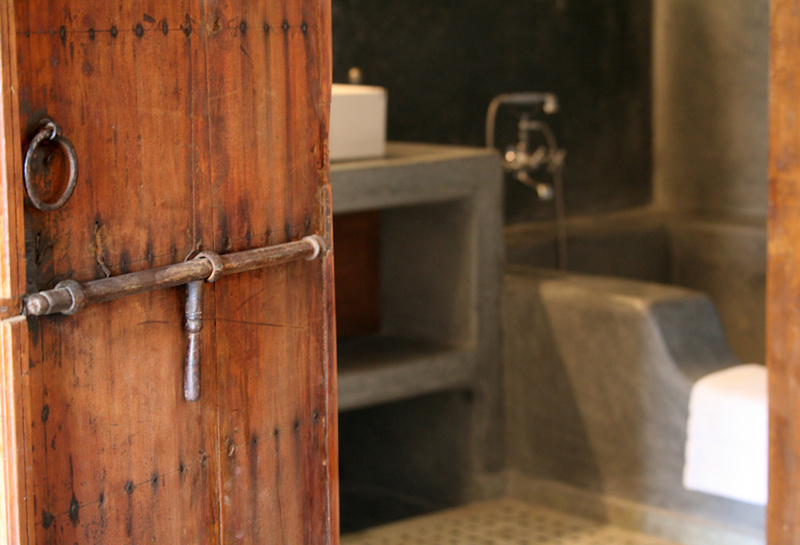 From here, guests can access the fragrant garden featuring rose bushes and citrus trees as well as a small plunge pool.